Are you looking for something creepy to do this fall to help get you in the spirit for Halloween? 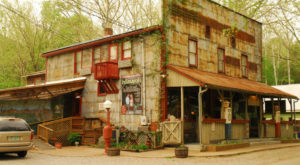 Luckily, Indiana is filled with ghost towns and haunted places to explore – if you’re brave enough. 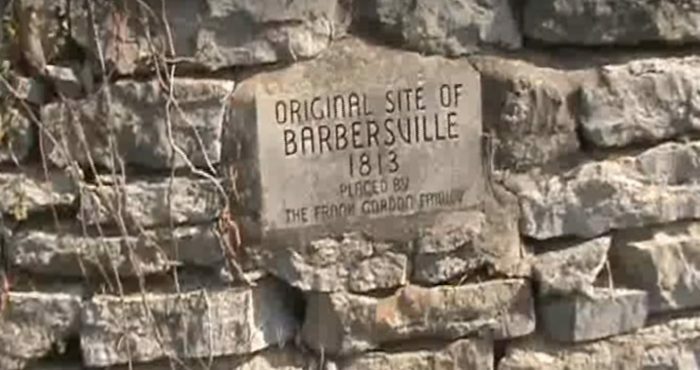 Check out these 10 horribly creepy things you can do in the Hoosier state. This ghost town was settled in the early 1800s and abandoned by 1915. 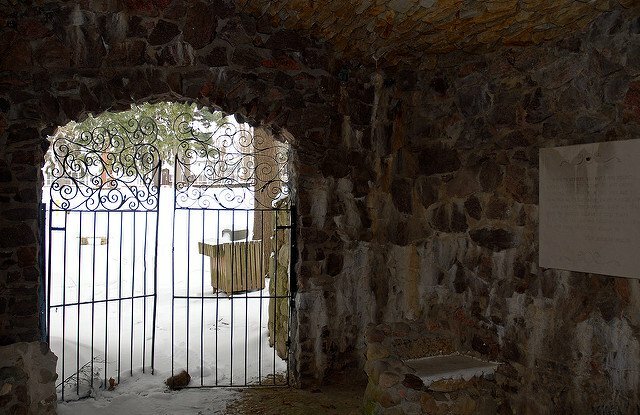 There are rumors that this was a site on the Underground Railroad and talks of ghosts hunting the ruins that remain. Check it out for yourself and learn more here. 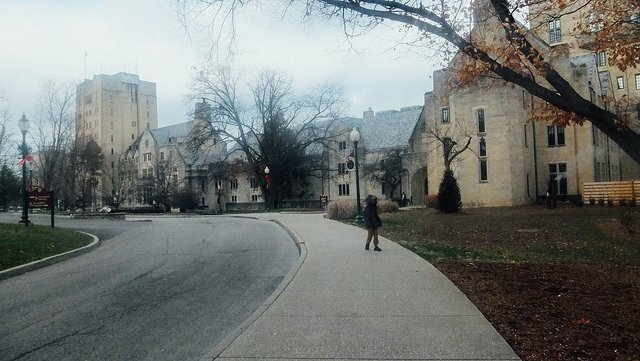 Indiana University in Bloomington is allegedly haunted by several different ghosts, like the Woman in Black, a girl in a yellow dress, and a ghost known as Paula who is rumored to have committed suicide. If you're looking for a bunch of fascinating ghost stories in one spot, this is the place to go. 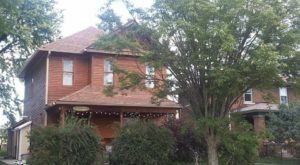 Learn more here and visit at 107 S Indiana Ave, Bloomington, Indiana. The Indiana Medical History Museum is a weird and fascinating place to visit, especially since the grounds its located on belonged to a former insane asylum. Learn more about what to expect during your visit here and check it out yourself at 3045 W Vermont St, Indianapolis, IN 46222. 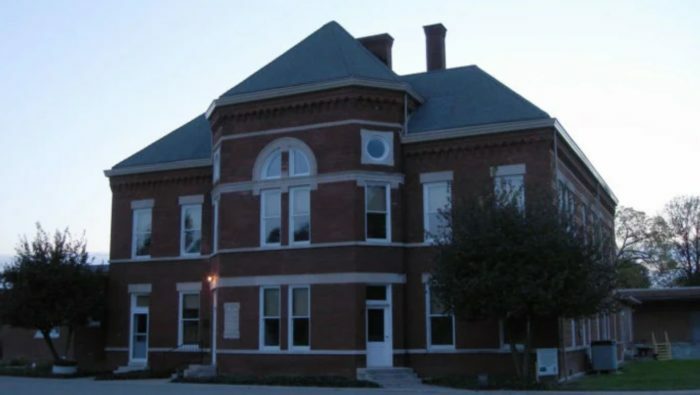 Scottsburg in Scott County is filled with paranormal activity. 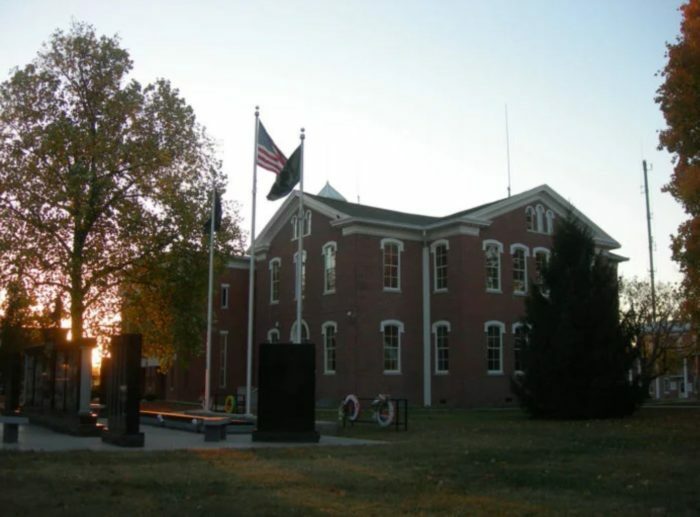 The Scott County Heritage Center & Museum is a mecca for paranormal activity and the Bridgewater Cemetery is one of the creepiest spots in the state. Learn more here. 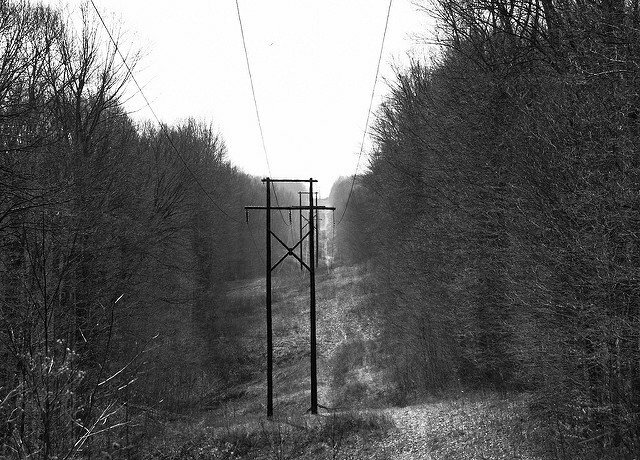 If you're looking for a more natural spot to visit, this haunted hike through Morgan-Monroe State Forest hits some of the area's spookiest spots. Get the full scoop here and take the hike at Morgan-Monroe State Forest in Martinsville, IN 46151. 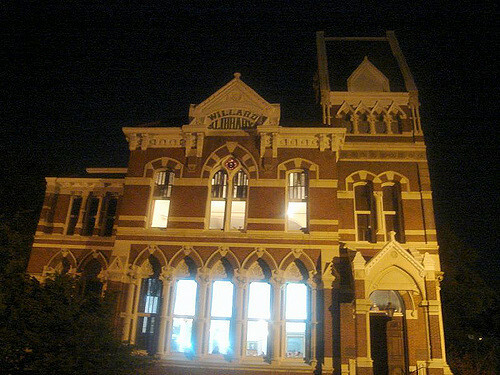 This gorgeous library in Evansville is rumored by residents and workers to be haunted by the Lady in Grey. From faucets and lights turning on and off to books being rearranged, the Willard Library should definitely be on your list to check out. 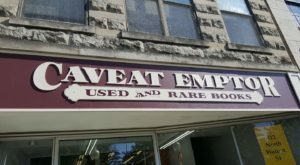 Learn more here, visit at 21 N First Ave, Evansville, IN 47710 or check out their website for ghost tour and cam info. Depending on who you talk to, you'll hear a different story about the ghost that haunts this bridge in Avon. Some claim you can see tears dripping along the bridge from one ghost, while others insist you can hear heartwrenching cries from a ghost mourning her child. For the full story, click here. 8. Stay at this creepy "camp"
Do you believe in the paranormal? A night at Camp Chesterfield might change your mind. 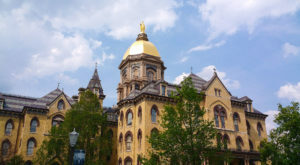 Strange occurences are known to happen here, and guests can schedule sessions with mediums and explore the former spiritual grounds. Learn more here and find the camp at 50 Lincoln Dr, Anderson, IN 46017. 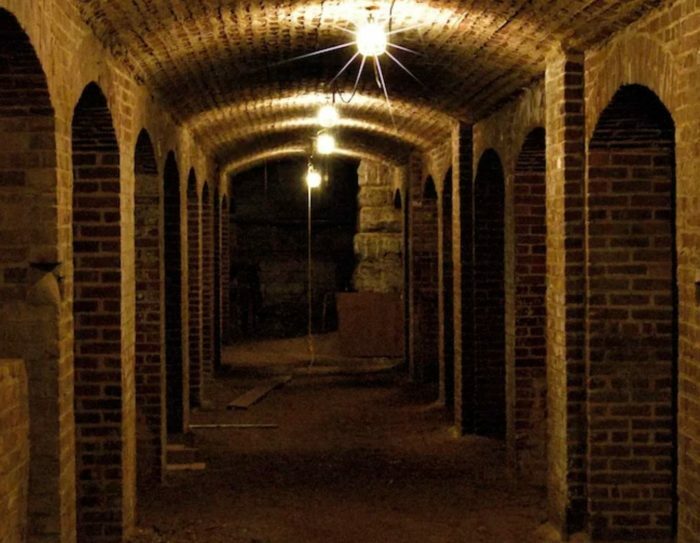 Did you know that some of the world's best preserved catacombs are located right here in the Hoosier state? Underneath of the City Market in Indianapolis you can find these spooky catacombs that are able to be viewed during the Halloween season. Learn more here. 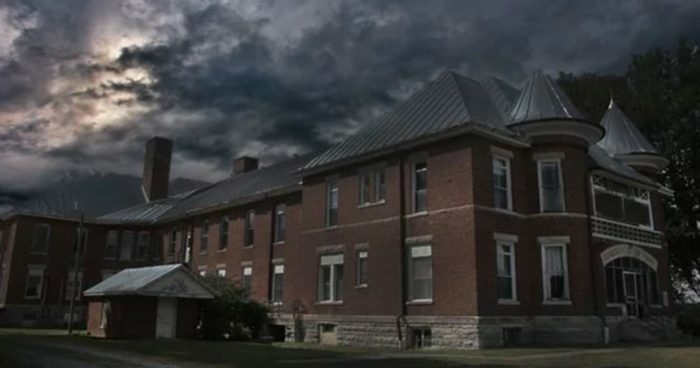 This former infirmary asylum in Winchester is owned by a paranormal investigator. 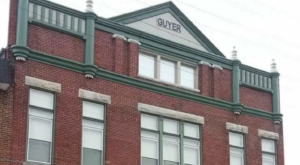 Hoosiers can actually stay overnight in this allegedly haunted building to where they're likely to hear ghostly footsteps, see shadowy figures, and witness items being moved around. 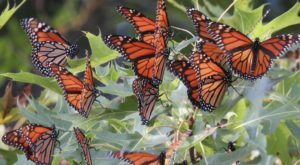 Learn more about this fascinating overnight experience here. 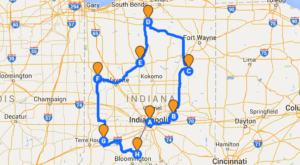 Will you be checking out any of these creepy things you can explore in the Hoosier state? 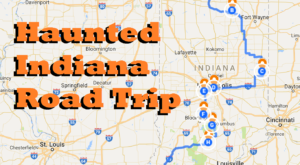 For a haunted road trip to embark on, check out this haunted cemetery road trip.